The numbers that turned out to protest Donald Trump’s visit to England on 13 July were well above all expectations. Up to 250,000 took part in the biggest turnout in memory. The BBC does not put the numbers as high, but nevertheless admits the turnout is huge. 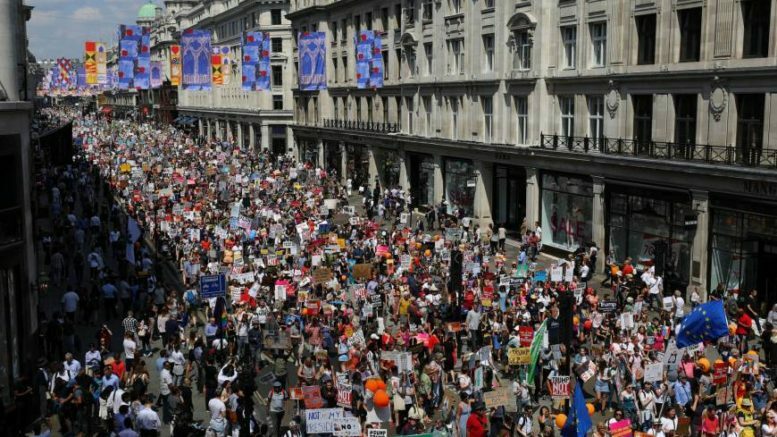 Be the first to comment on "Up to a quarter of a million people oppose Trump’s visit in London"